The Kosciusko Kettleheads homebrewing club will celebrate the American Homebrewers Association Big Brew this Saturday, May 3, at the Cerulean Garden in Winona Lake. Big Brew is an annual celebration of National Homebrew Day and is now in its 17th year. Organized by the American Homebrewers Association, Big Brew brings together thousands of homebrewers from around the world, all brewing simultaneously. More than 7,000 homebrewers from North America, Europe, Africa, Asia, South America and Australia are expected to participate this year. 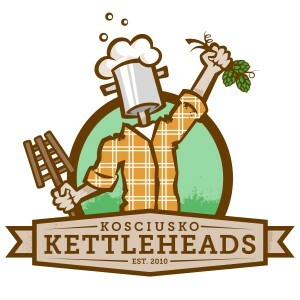 The Kettleheads will be brewing in the newly remodeled Cerulean Beer Garden — which opens the weekend of May 16 — from 9 a.m. to approximately 4 p.m. The demonstration is free and they invite the public to watch, ask questions and see how brewing, one of mankind’s oldest traditions, is done. The beer brewed Saturday will be served at the fourth annual Homebrew Tasting event at Cerulean on Saturday, June 28. Tickets for the event will go on sale the weekend of May 16 at Cerulean. Net proceeds from the event will benefit Combined Community Services.